Are you here? 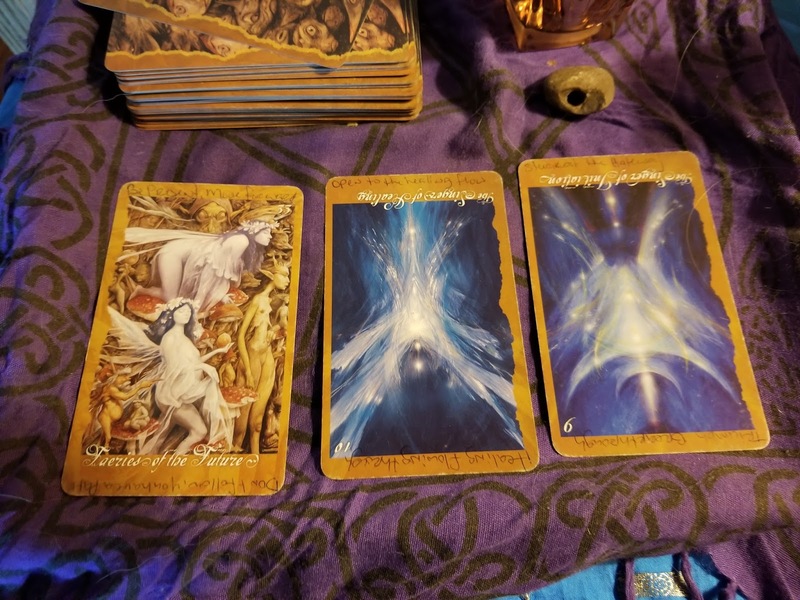 Right now, in this moment, are you present? This is a bit of a trick question. Most of us are not. We are in the future, hoping for or dreading some real or imagined event. Conversely, we are perhaps in the past, agonizing over a trauma or enjoying a sweet memory. 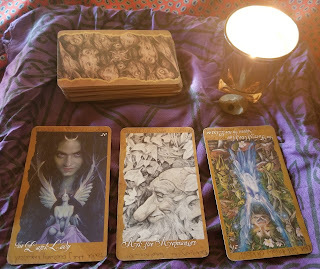 These activities, looking forward or glancing back, have their usefulness, but right now, you are needed here. Do you know why? Here, this moment, is very special. You are standing in the gateway of so many good things, and they are just waiting for you to notice so they can join you in this moment. So, just for now, let the past remain the past and the future go unpredicted. Let yourself have this moment and all the good that is waiting to flood in when you seize it. Walls and defenses have their place. They have protected your tender heart and battered soul while you healed from your wounds. Protection and isolation are two different things. Stay behind your walls and find stillness, find peace, and find your center. Then you are ready to open the door and let yourself be filled. Remember, you are the bouncer to your inner self. Only let in what is bright and shining and helpful. Do not, however, languish in an ivory tower and let your stillness deafen you to the song of the Universe. Deep within you, there are seeds of such unimaginable wonder. They remain there, untouched by the light of the Sun or the nourishment of the loamy Earth. The strange fruit they would become remains a mystery, because you leave them closed up tightly, hermetically sealed within your darkest self. Are you afraid to know, or are you afraid because you know the cost of letting such seeds be sown? I feel it is the latter. The hints are all around you, but you lack the tools of the gardener. These tools are the courage to begin, knowing failure and blight are just as likely as lush success, and the patience to be a good and faithful steward to your growth. Love yourself enough to let the Sun shine into your soul. Spread love around like fertilizer, and watch what springs forth with abandon. 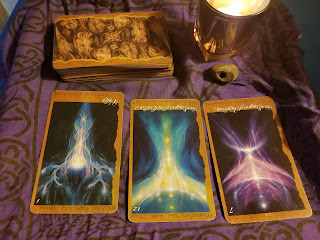 That love and light will be returned to you in spades. 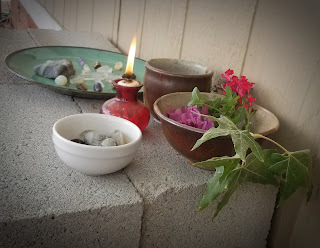 I am reviving my Thursday Healing List, and hopefully many other aspects of this blog. 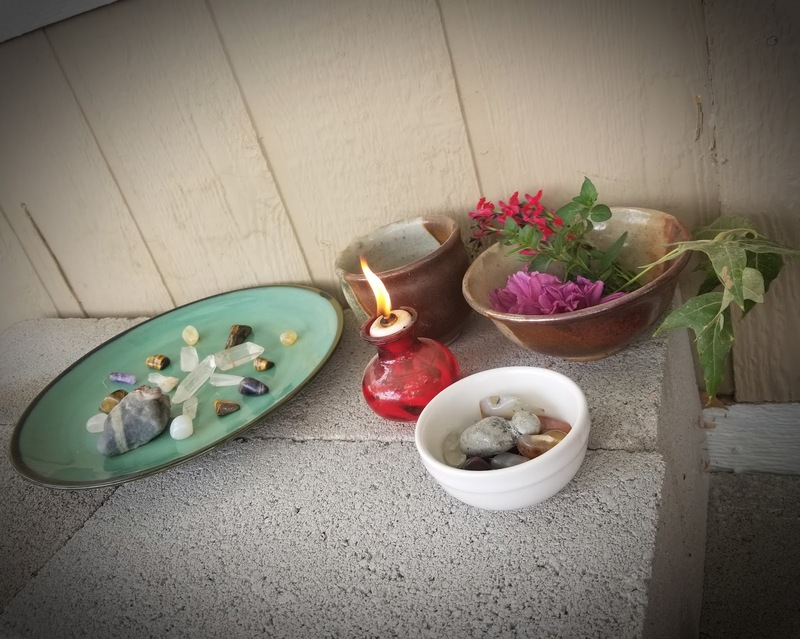 As I was assembling my new Reiki Grid, I decided to make an outdoor space for the Grid, along with a place to meditate, make offerings, and general gratitude and blessings. Luckily, I have a lovely little space on the West side of our property. 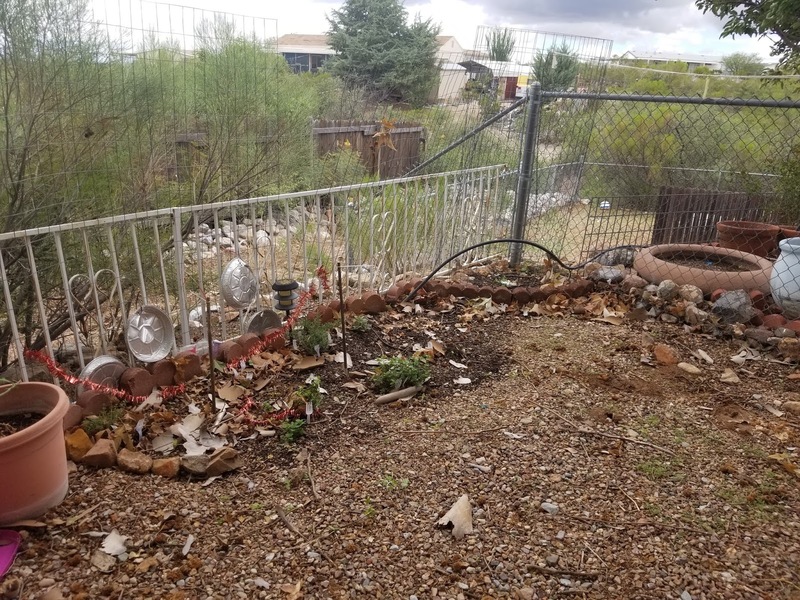 It is currently the site of another failed attempt to grow veggies in the High Desert climate of Southern Arizona. 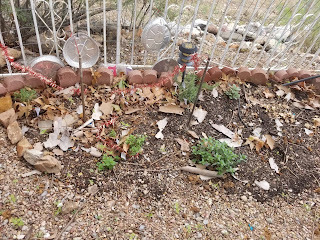 The small herb garden, however, is thriving and I will concentrate on growing that area. 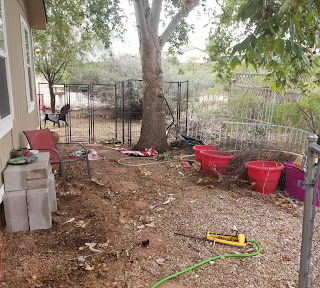 since they seem to resist the critters and the heat. 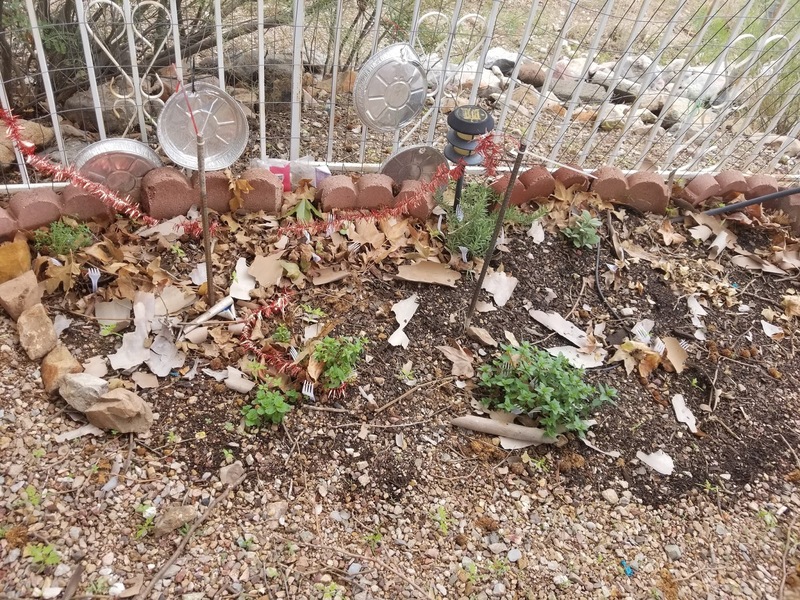 Sweet mint, chocolate mint, sage, rosemary, and thyme have so far survived. 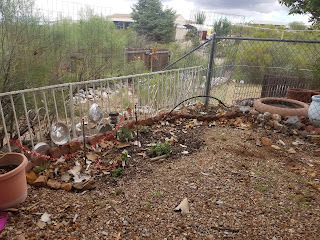 Because I am obsessed with putting rocks around everything in my garden, that is in process, now that I have decided to shrink the garden down to just the herb patch. 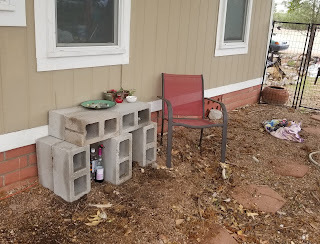 I took the cinder blocks from around the veggie bed (aka the Pack Rat Buffet) and made a little altar area. Then I made my Reiki Grid, and added in some offering bowls and my little oil lamp. I added a chair to sit and do my energy work and meditation. 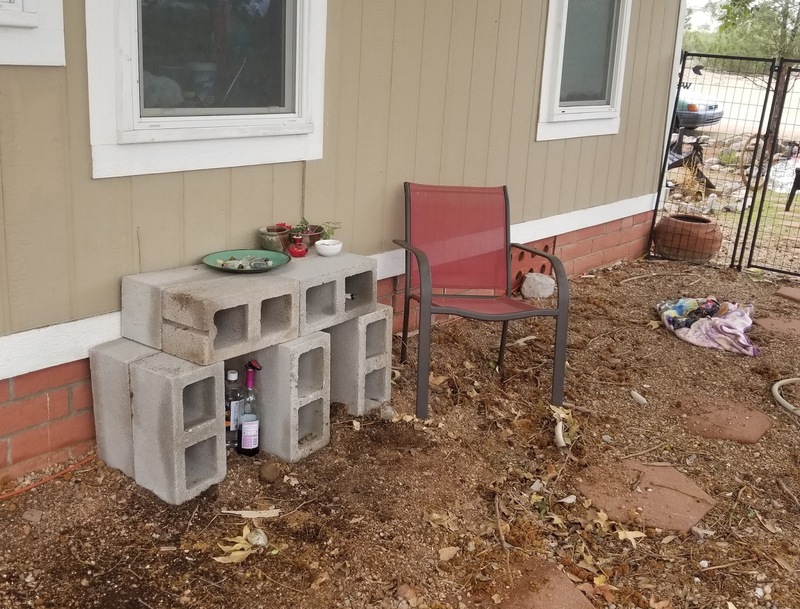 I also plan to add some pavers to the area in front of the shrine to put a yoga mat when I go outside. You can see I can store stuff like lamp oil under and smaller items in the cells of the blocks. I have a Mason jar with the Healing List names tucked in under the grid so they don't get wt in the rain or blow away. It's a work in progress, but it's a start! I'm pretty pleased with it after just an hour of work, so who knows what it will become as I spend time out there and continue to add to it. 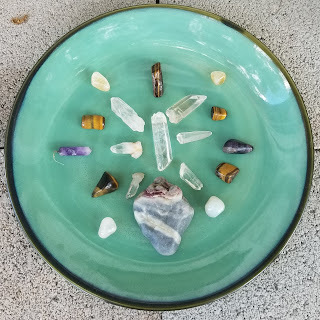 Also, since it's right under my window I will see the grid even when I'm not outside in the space, and my intention will direct energy into the grid when I catch a glimpse of it. I have been SO busy! I am happy to announce that I am a Winner of National Novel Writing Month. I took a break from everything this month to get it done, but I now have Book II of my Through the Veil series in first draft. The Gossamer Crown is now in the editing phase, after a short mental health break, of course. I am devoting my time to really put my work out there. 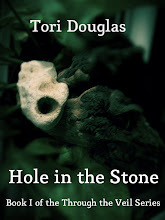 When I published Hole in the Stone I just put it out there in the world and left it at that. I am have learned a lot about Kindle publishing, and hope to put that to work when I launch it's follow up book, The Gossamer Crown. 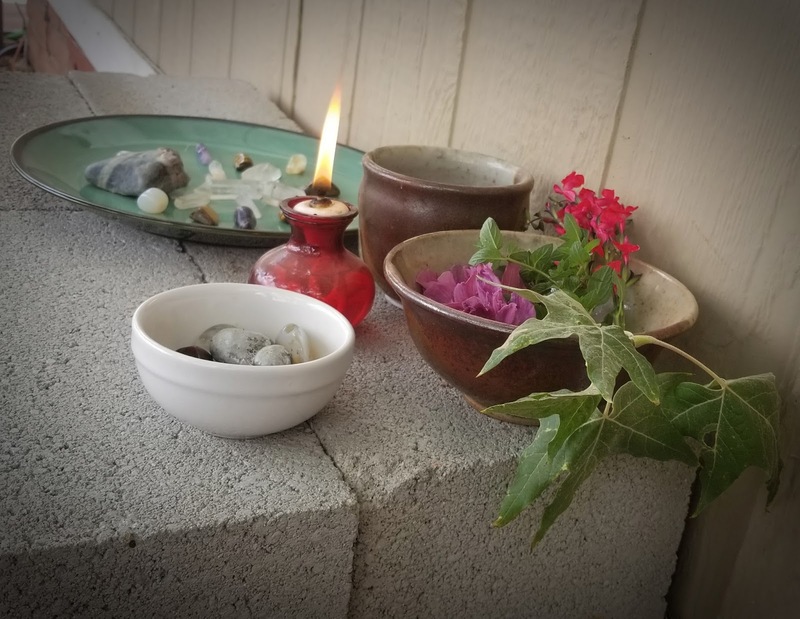 I have a new site, dedicated to my writing aspirations, at The Tori Douglas, where I hope to see you guys in the future. Between this and writing for and being active in Gaming Mommies, I doubt this blog, as much as I love it, will be getting much attention. I would love for you all to follow me to my new endeavors! If not, I will see you here, now and then. 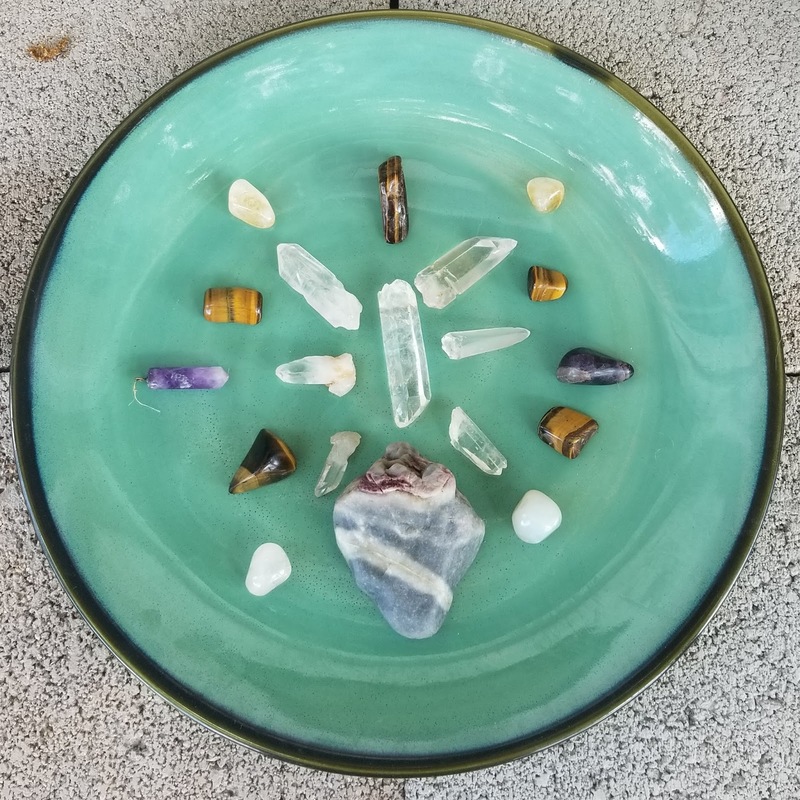 Brightest blessings to you all! Check out my novel on Amazon!